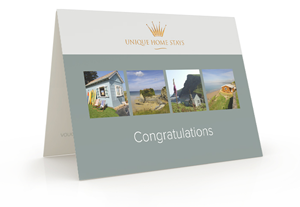 Gift vouchers are available in any denomination and value of your choice. Vouchers are professionally printed and posted to you, or for those times when you're in a rush or don't need anything formal to present to someone, they can be sent via email. To start, choose the most appropriate wording for the front of the voucher from the options below. If the one you want is not available let us know and we'll add it!